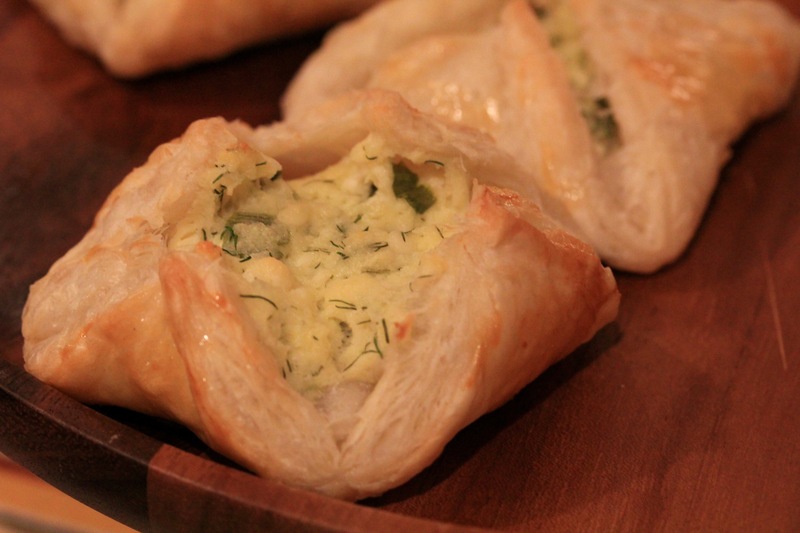 Perfect for entertaining, these cheese and herb puffs are inspired by the Georgian dish khachapuri, a cheese-filled bread (sometimes also filled with meat, egg and other delicious things). When I say these cheese puffs make for great entertaining or apero snacks, I really mean that you should make extra so that you don’t eat them all yourself with not enough left for your guests… because that never happened. 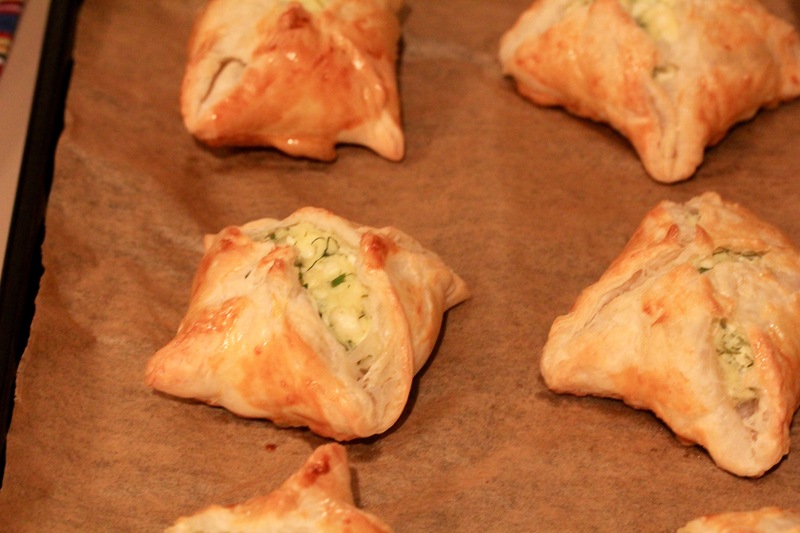 My mom and I made these cheese puffs last weekend and they were so easy and delicious. Also made for a fun family activity, and we could all use more of those around the holidays! 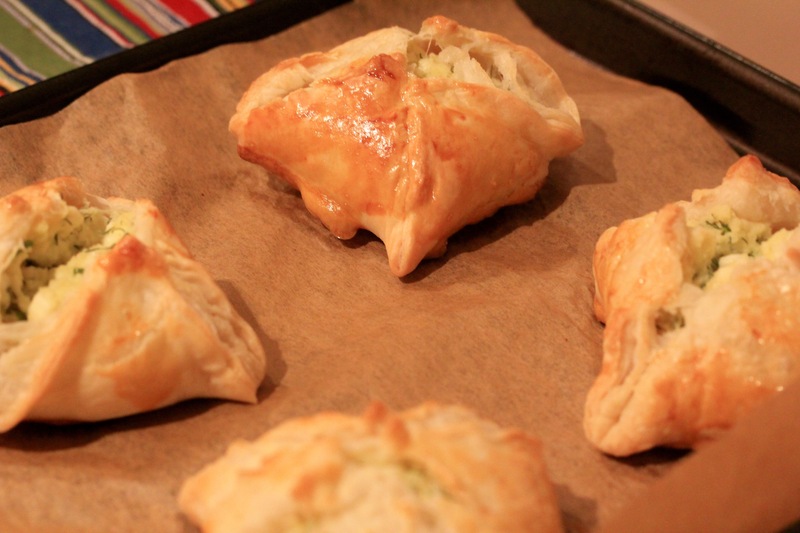 Golden cheese and herb puffs, filled with feta cheese, fresh onion, garlic, and dill. 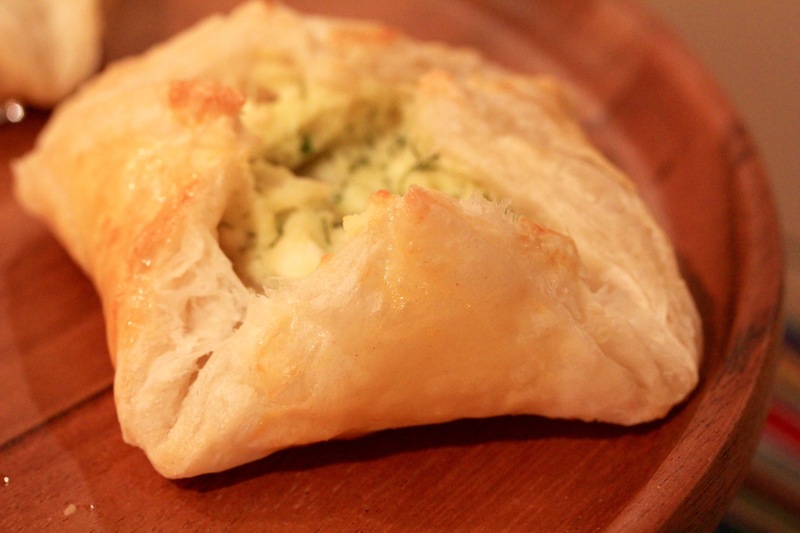 Take puff pastry out of the freezer and let it defrost for about 20 minutes. Preheat oven to 365F. 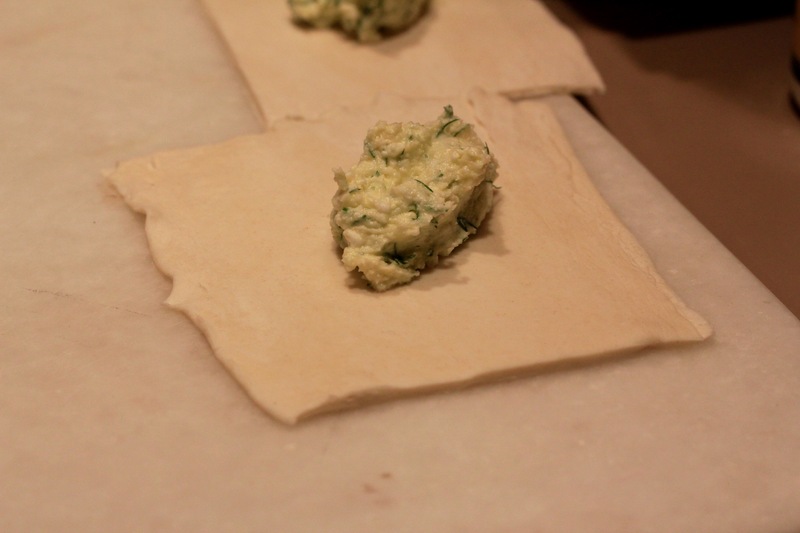 In the meantime, make the filling: grate the feta cheese into a bowl, add 1 egg, melted butter, garlic, and herbs. Mix well to combine. 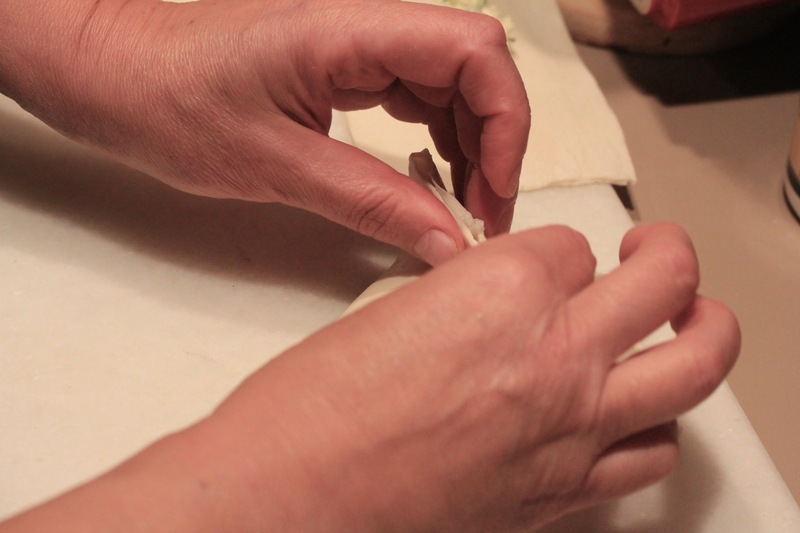 Roll out the pastry sheets to a rectangular shape. Cut each sheet into 6 squares. 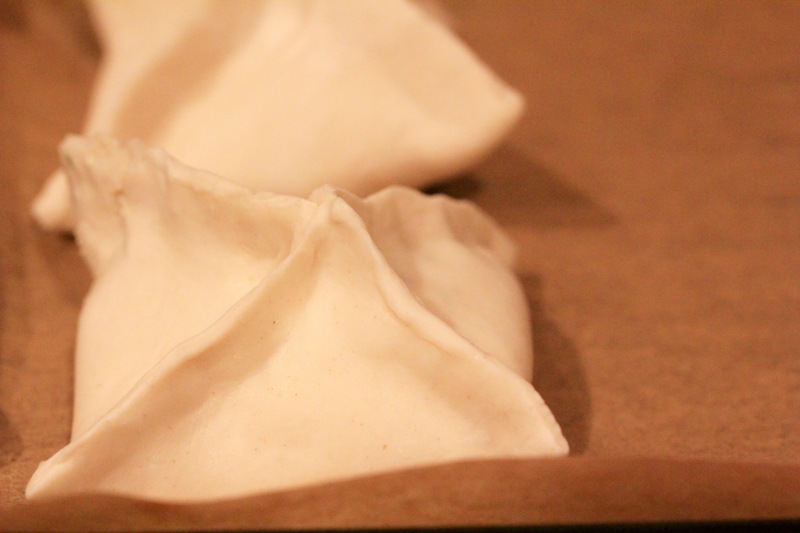 Put 3 T of filling in the middle of each square and fold it up (like a dumpling), pinching the sides and the top. 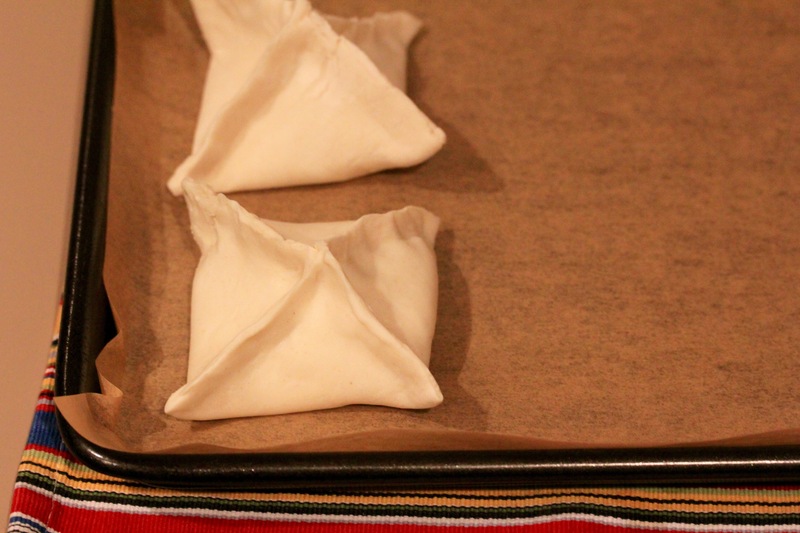 Spread the cheese and herb puffs out on a baking sheet - you will likely need two - lined with baking paper. Brush with egg wash and bake for 20-25 minutes until opened up and golden. These are delicious hot or cold. 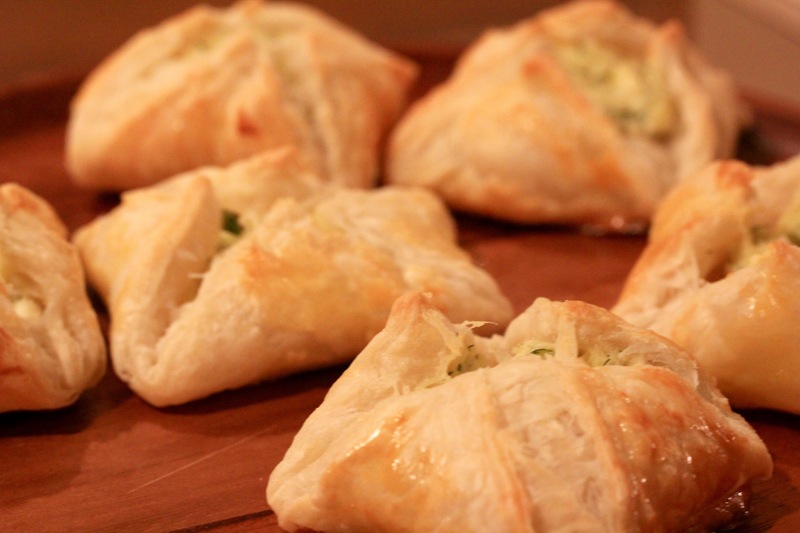 Serve them as appetizers or with drinks before dinner. I can see why these disappeared. They look delicious and a lot of fun to put together.